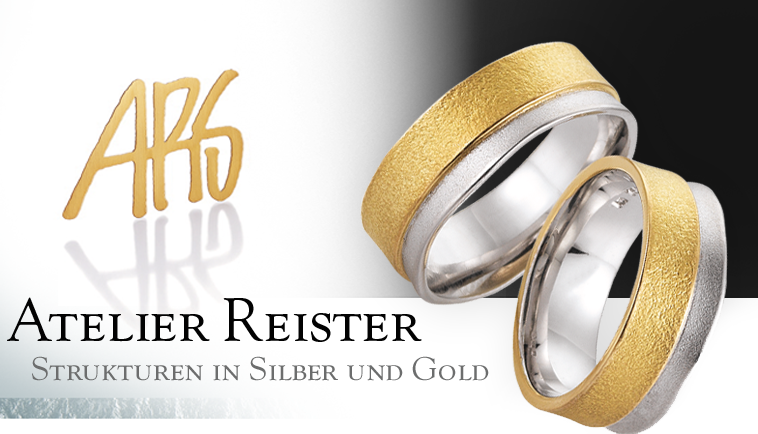 ARS offers design-oriented jewelry with textured surfaces in gold and silver. One of our specialties is the two-tone theme which we interpret in a rare, multifaceted fashion in a wide range of designs. Wedding rings and rings for couples are a mainstay of our product range, featuring fresh designs and a wide variety of shapes plus, of course, top-quality craftsmanship. Our decorative ladies' and men's watches made of gold or silver are highly individual, modern and unique. They are equipped with sapphire crystals, Swiss precision movements, dials handcrafted from 999 fine gold as well as crowns made of high-quality 750 yellow gold, palladium-based 750 white gold or 950 palladium. Our jewelry for men - sporting not only stylishness but also a dash of humor - is crafted, of course, exclusively from gold or silver.